Keeping a track of all the calls you have, especially the work-related ones can be a hassle even for those with a sharp memory. Since you don’t always have a memo pad around to note down instructions from your co-workers or the grocery list being dictated to your over the phone, call recorder apps can be your savior. While some Android device manufacturers understand the importance of a call recorder app and bake it right into the software, you don’t traditionally expect one with every device. 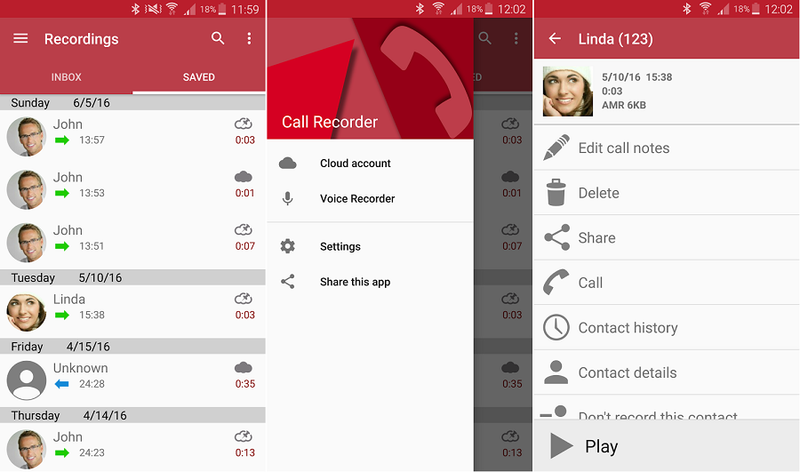 Fortunately, the Google Play Store is packed with some of the best call recorder apps for Android, which not only get the job done but do not require any special root access to work. 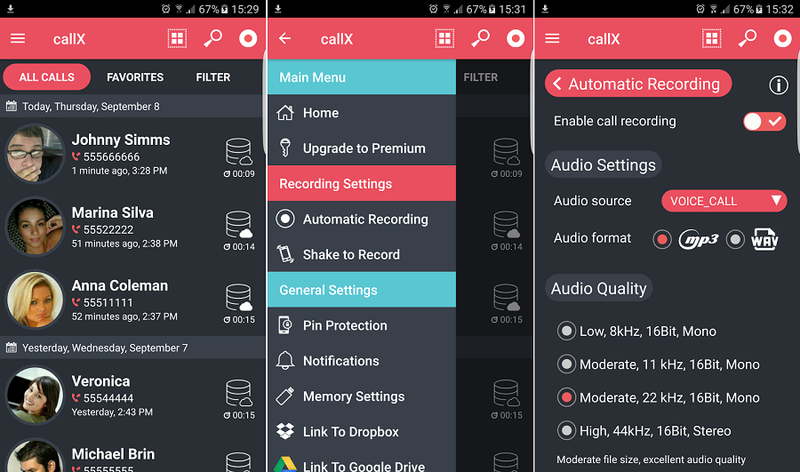 One of the few regularly updated call recorder apps for Android, Automatic Call Recorder also known as CallX has thousands of 5-star reviews and more than 5 million downloads to prove its worth. Tested to work on dozens of popular Android devices, this app comes with the ability to set up automatic call recording, protect recorded calls with a passcode, easily backup recorded calls to cloud storage, and a sleek user interface as well. 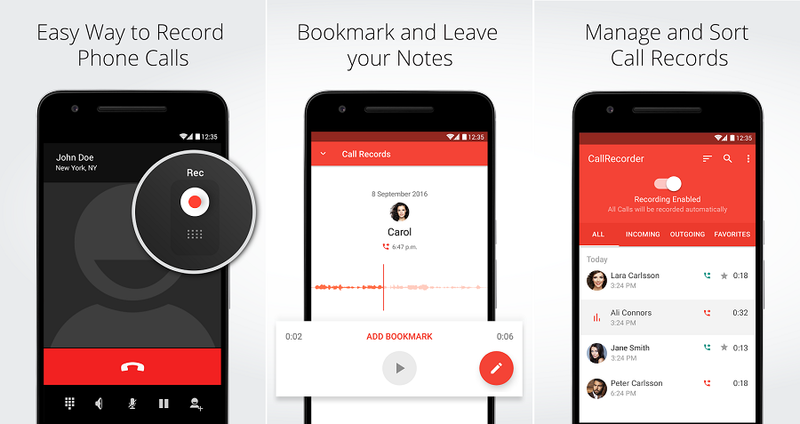 Easily making the list as one of the most downloaded call recorder apps for Android, ACR is not only free to use but does not require root permissions to operate either. While the Pro version of the app includes all the unique features to auto-email conversations, cloud storage options, and manual call recording, the free version of ACR is capable enough to compile your recorded conversations, exclude selective contacts, and making certain recordings as “important” so you don’t delete them by mistake. 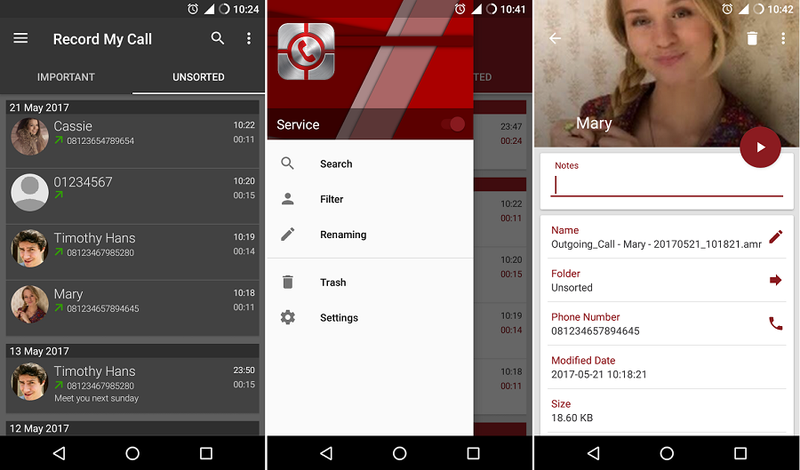 Despite being a newcomer in the Google Play Store, Call recorder by Green Apple Studio has made a name for itself by offering a service that just simply works well. The app records all of your calls by default, but you can easily set up a list of contacts that you want the call recorder to ignore. All your recorded conversations can be easily moved to your removable SD card, or you can simply email it and keep the data safe on the cloud. 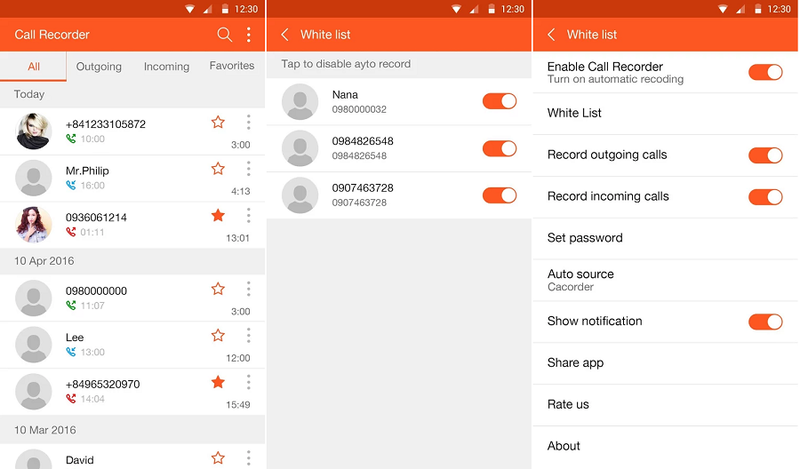 One of the oldest app available in this particular genre, Automatic Call Recorder allows you to easily record your conversations and listen to them later. Similar to other apps on the list, this one allows you to not only set up an ignore contacts list but also add notes to your conversations so that you can sort them efficiently. With the Pro version of the app, you can set calls from your favorite contacts to be sorted automatically to the cloud. While most of the best call recorder apps for Android hide their best features in the form of in-app purchases, this one offers all the amazing features for free. Giving you the ability to either record calls automatically or manually at the press of a button, Automatic Call Recorder for Me comes with PIN code protection to keep your conversations private, allows you to bookmark recorded calls and add notes at any point, and play the recorded audio through the speaker as well as the earpiece of your phone. 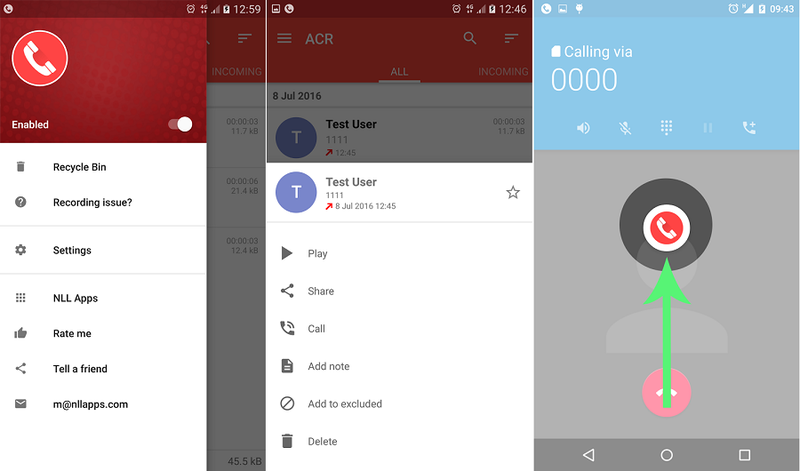 Last but definitely not the least, RMC is yet another call recorder app for Android gives you control over recording your conversations either automatically or manually. While it comes with all the required features such as PIN protection, sound customization options, auto delete recordings and more, it also comes with a feature to easily hide RMC from the app drawer and record calls without anyone finding out.